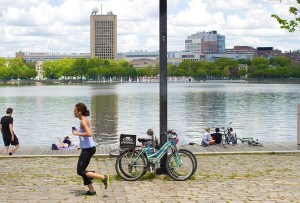 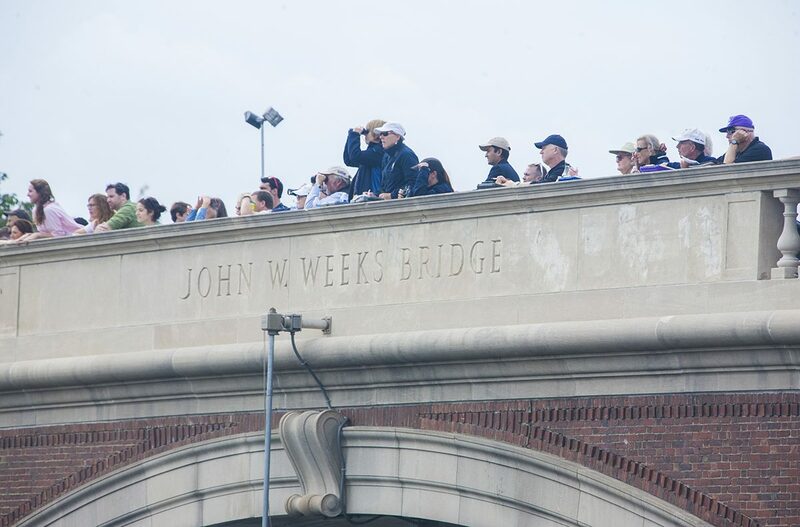 Thousands of spectators lined both banks of the Charles River for the 50th anniversary edition of the world's largest two-day regatta. 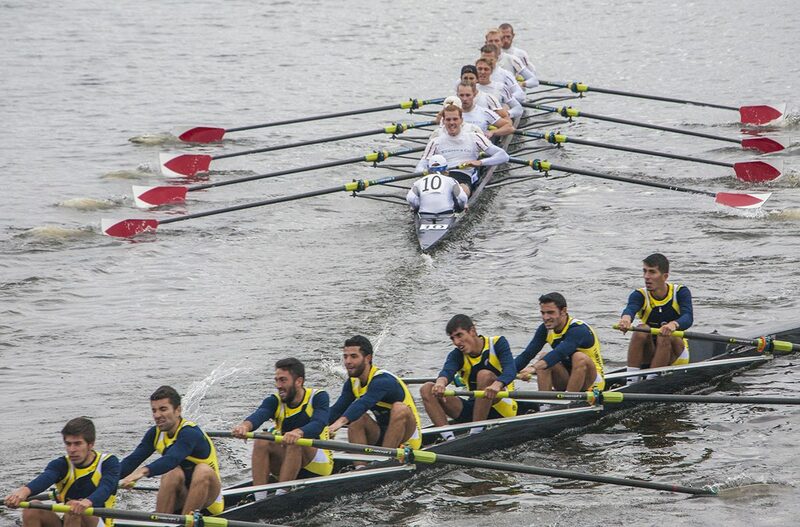 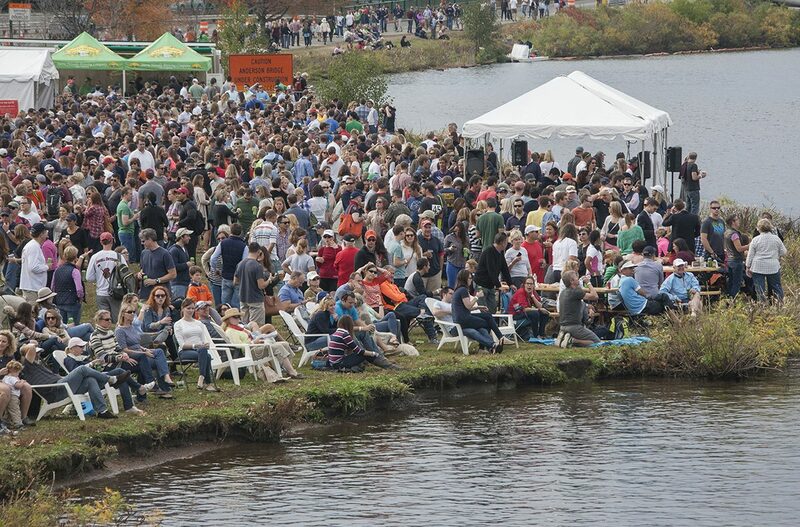 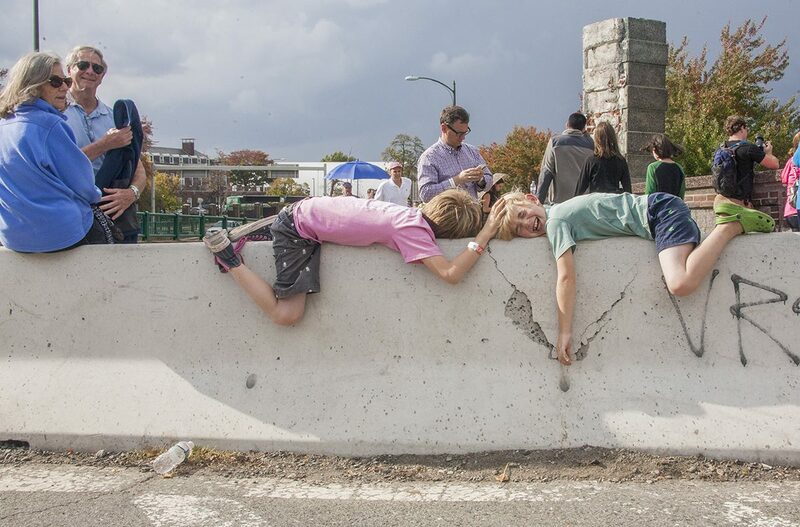 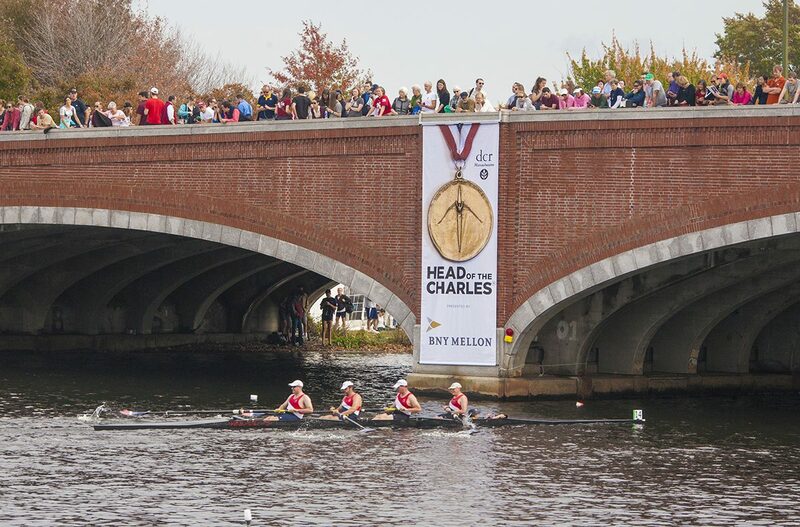 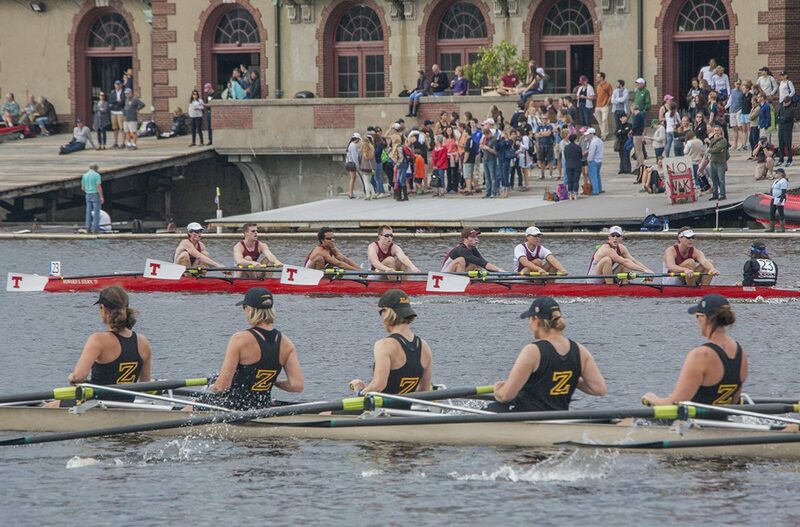 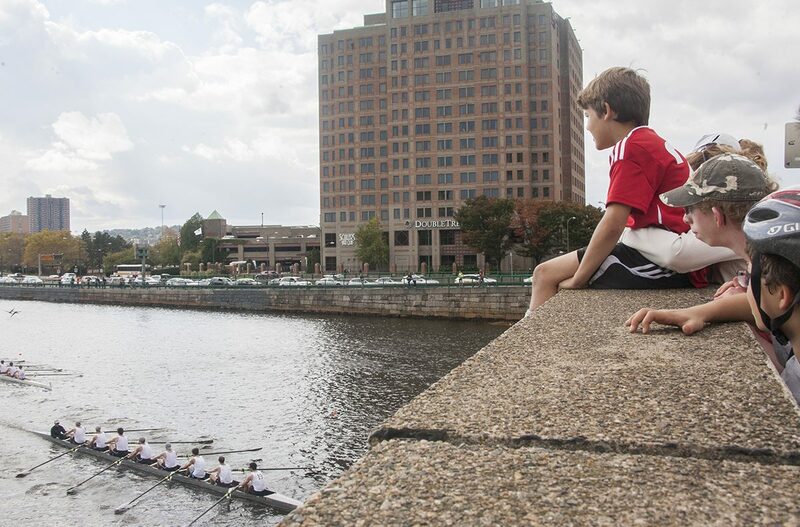 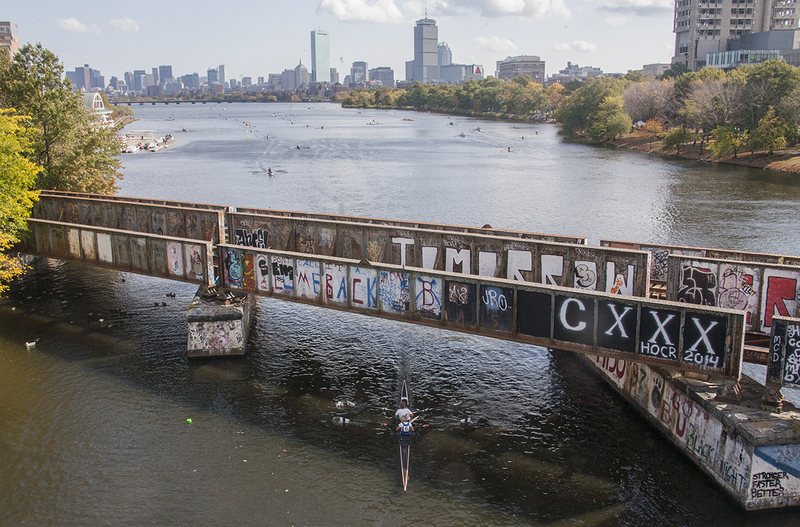 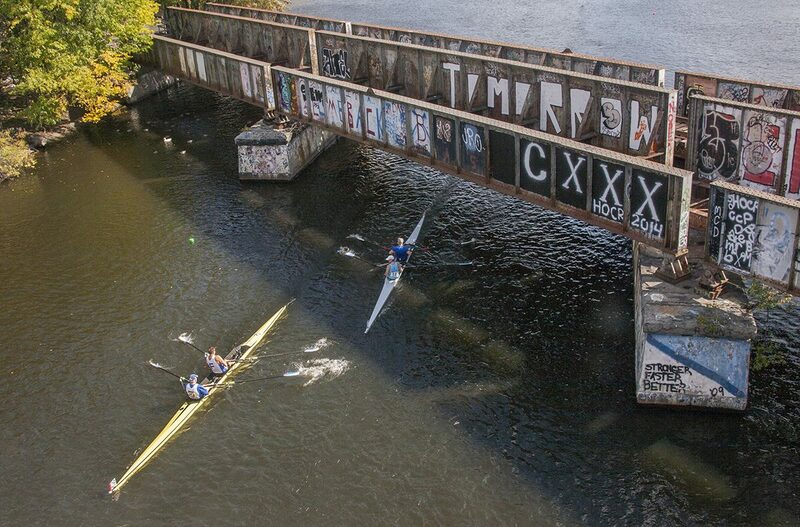 By Olga Khvan·	 10/20/2014, 10:32 a.m.
Thousands of spectators attended the annual Head of the Charles Regatta this past weekend, lining both banks of the Charles River and the seven bridges along the race course to celebrate the 50th anniversary of the world’s largest two-day regatta. 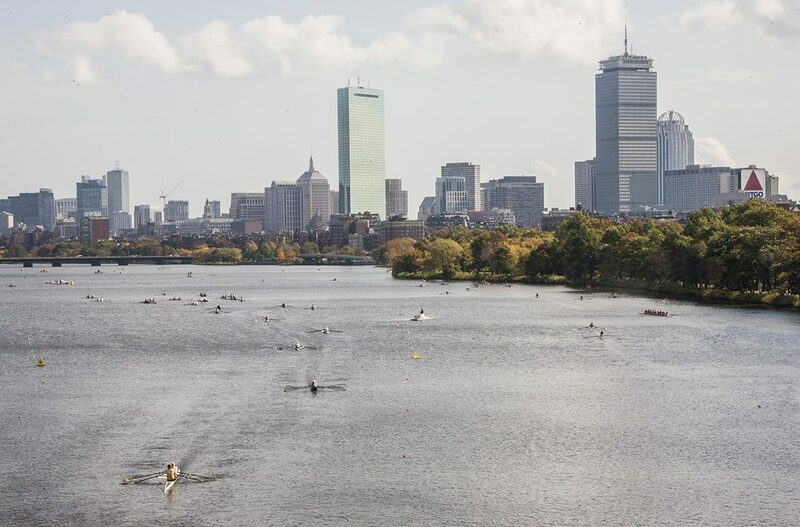 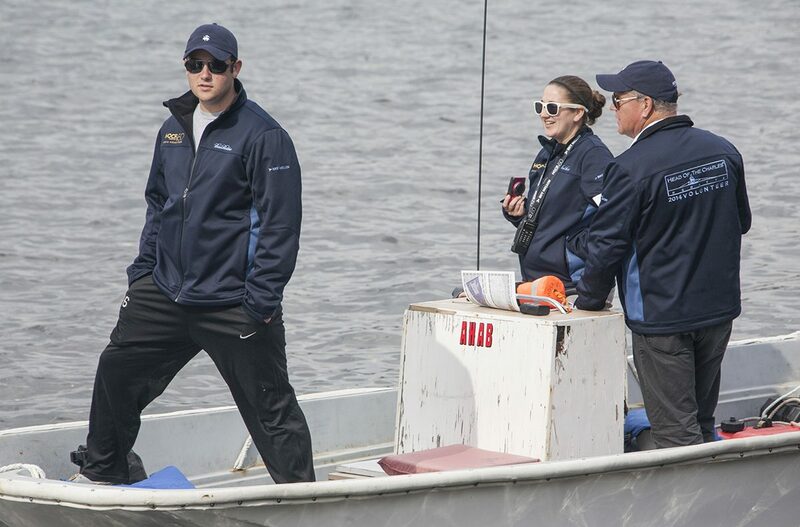 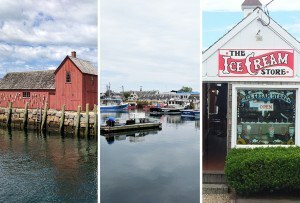 More than 11,000 athletes navigated more than 2,000 boats along the three-mile course, competing in a variety of singles, fours, and eights races. 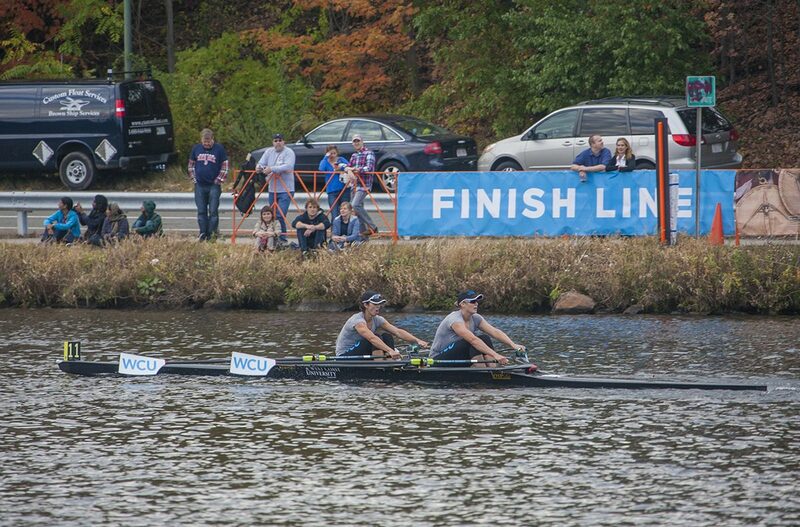 Genevra Stone and Andrew Campbell, both members of the Cambridge Boat Club, won the women’s and men’s championship singles races. 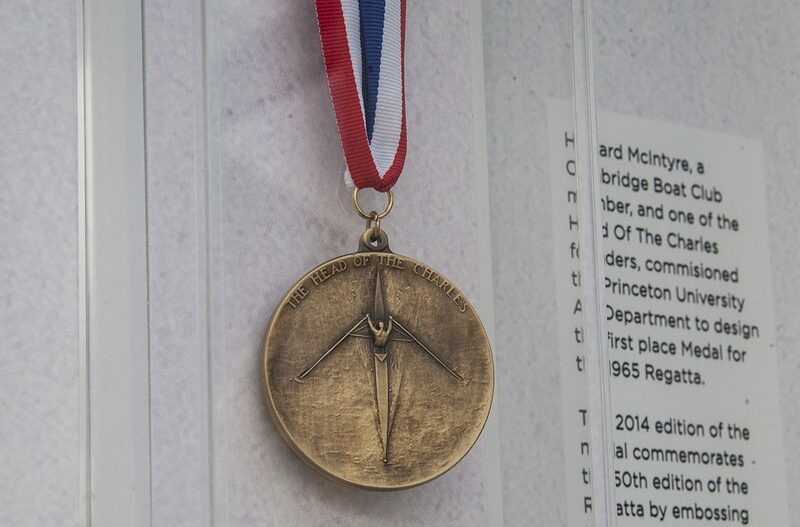 They received their medals at a special gala held on Saturday night to celebrate the 50th anniversary of the race since its founding in 1965 by D’Arcy MacMahon, Howard McIntyre, and Jack Vincent, who are also members of the Cambridge Boat Club. 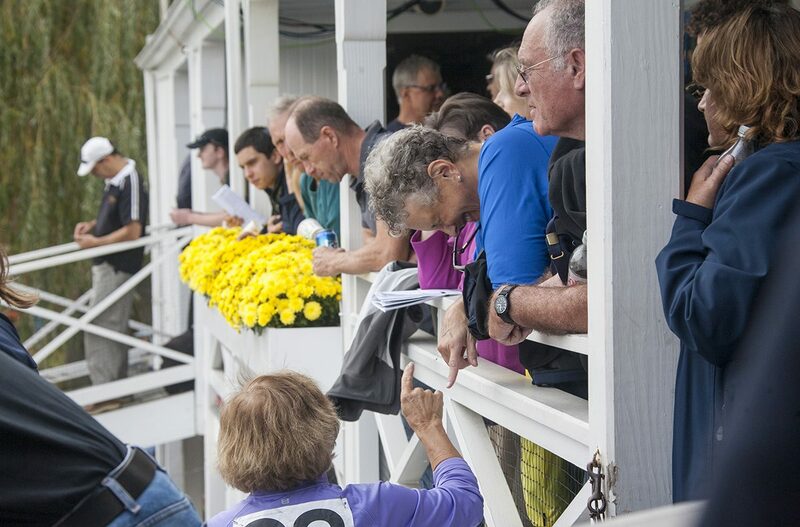 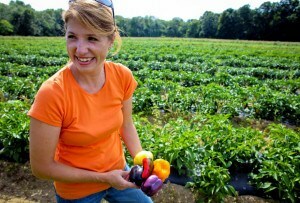 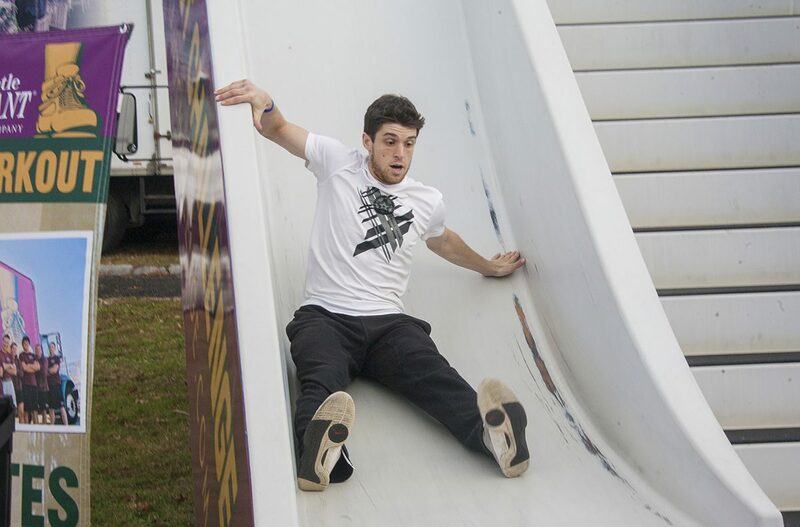 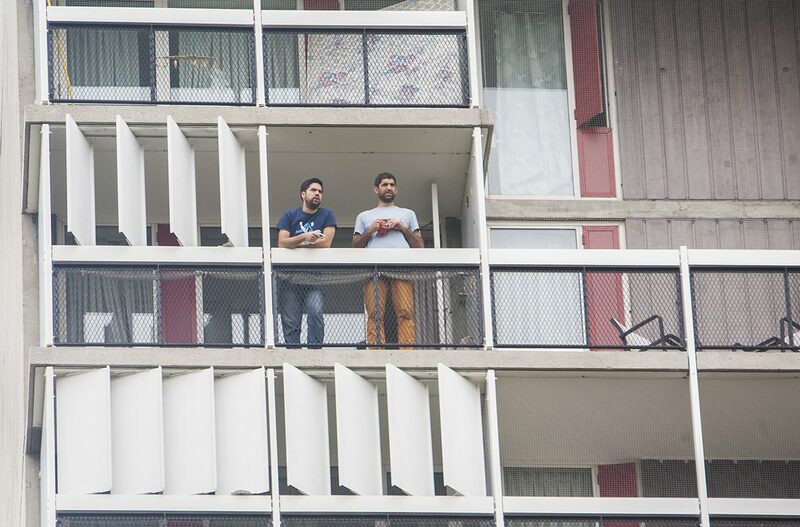 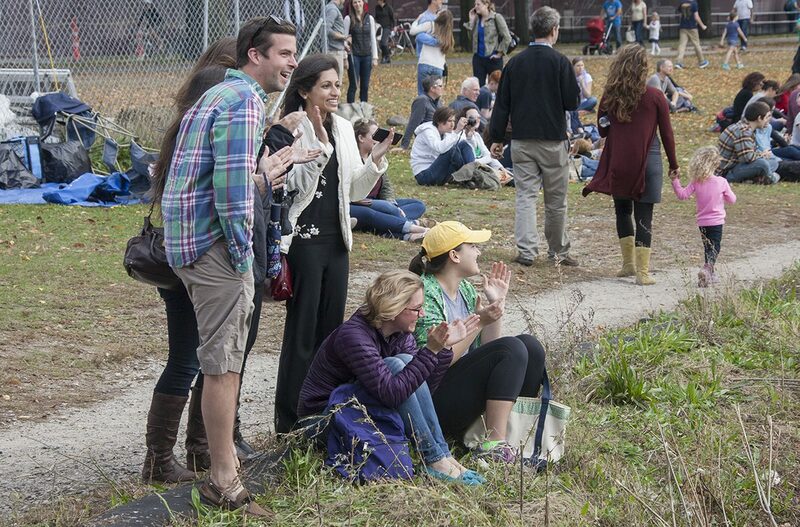 Following a yearly tradition, spectators enjoyed more than just the races over the weekend. 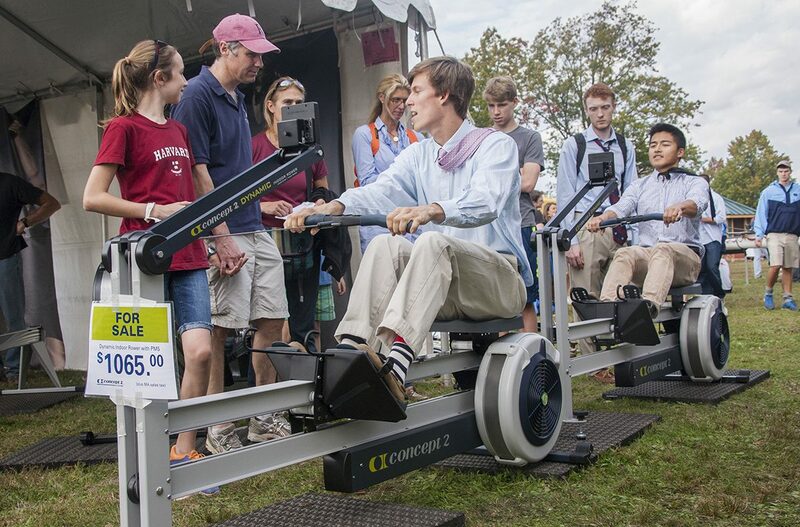 The Weld Exhibition and Reunion Village near the halfway point offered food, drinks, and merchandise, while the Rowing and Fitness Expo near the finish line demonstrated the latest in products and services for a healthy lifestyle. 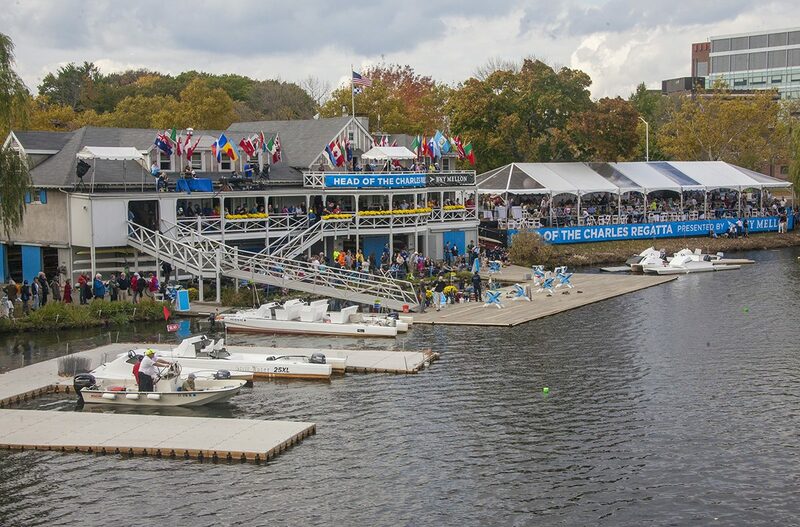 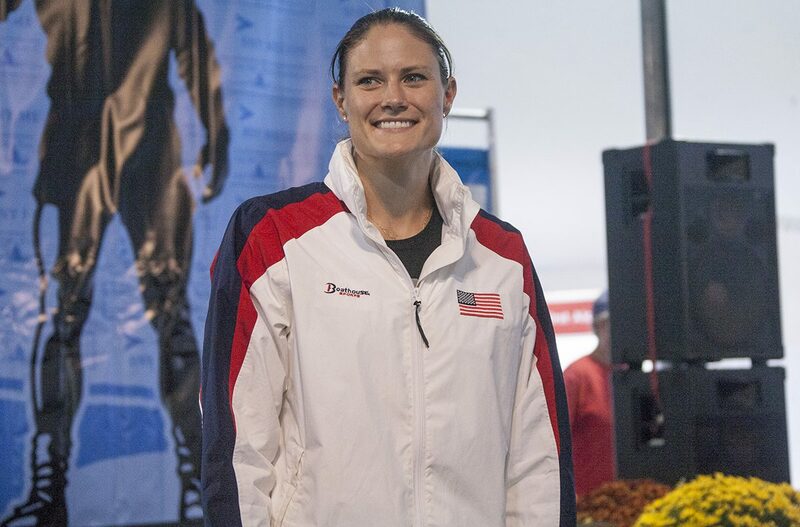 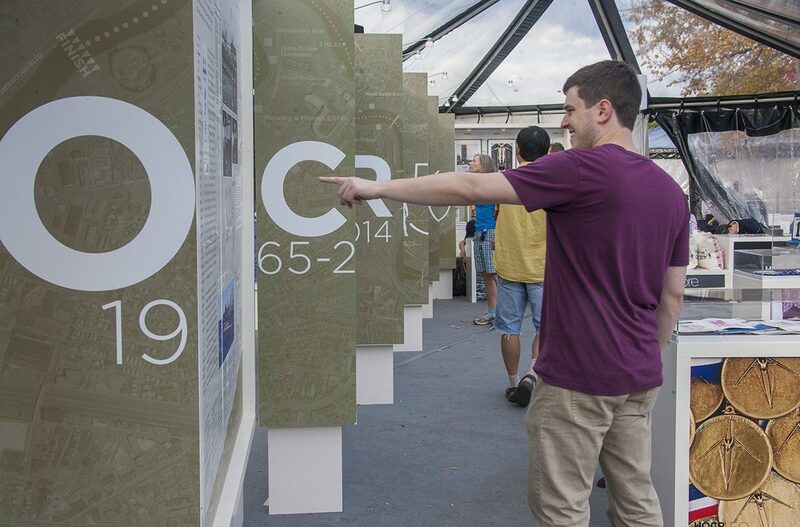 Additionally, a special history exhibit was set up near Hospitality Row, showcasing artifacts and memorabilia collected throughout 50 years of the regatta, as well as a preview of the documentary filmed to commemorate the anniversary. 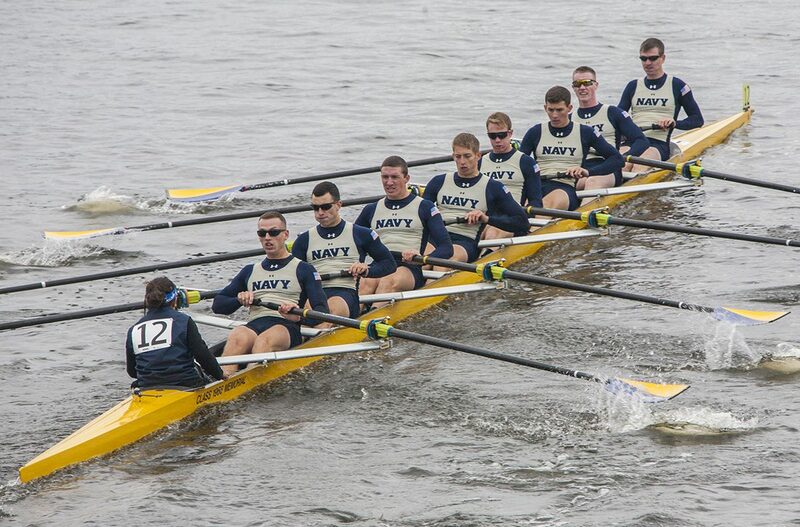 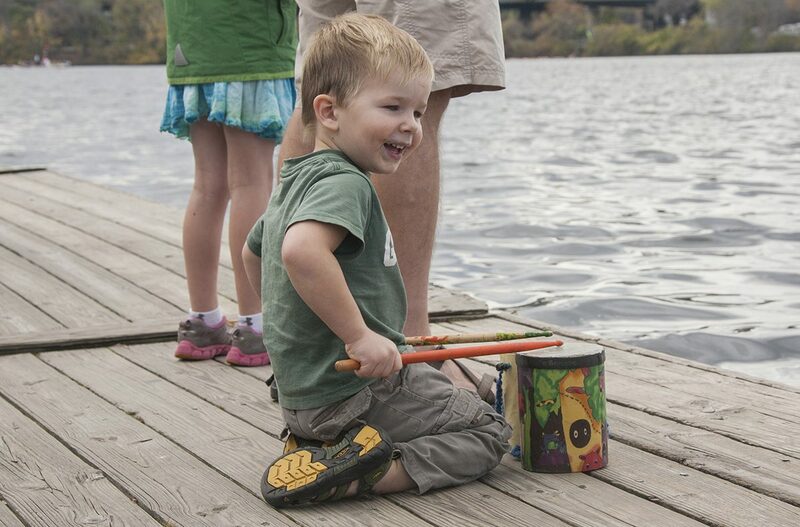 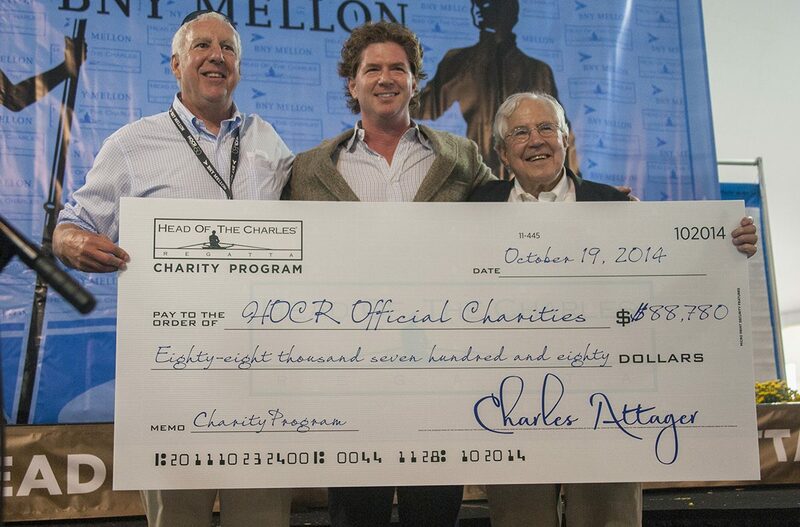 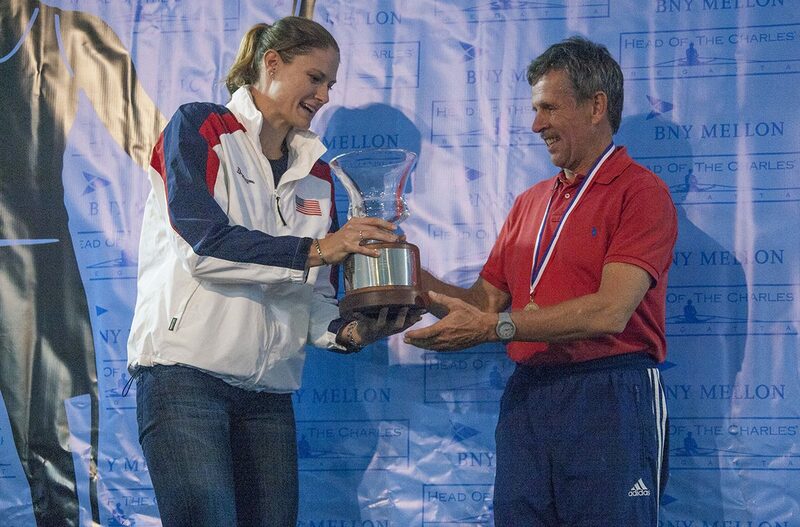 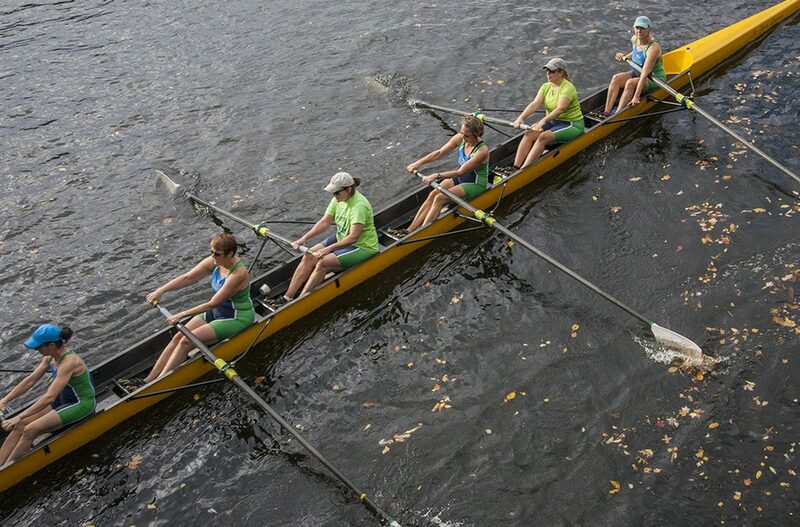 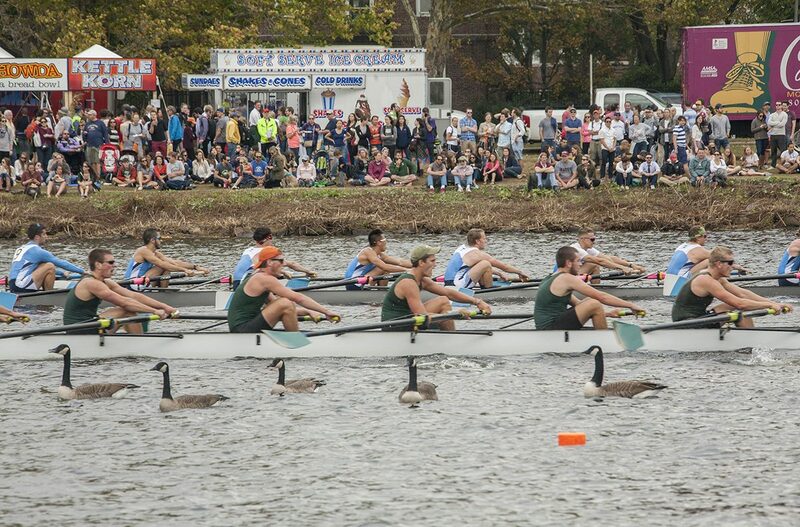 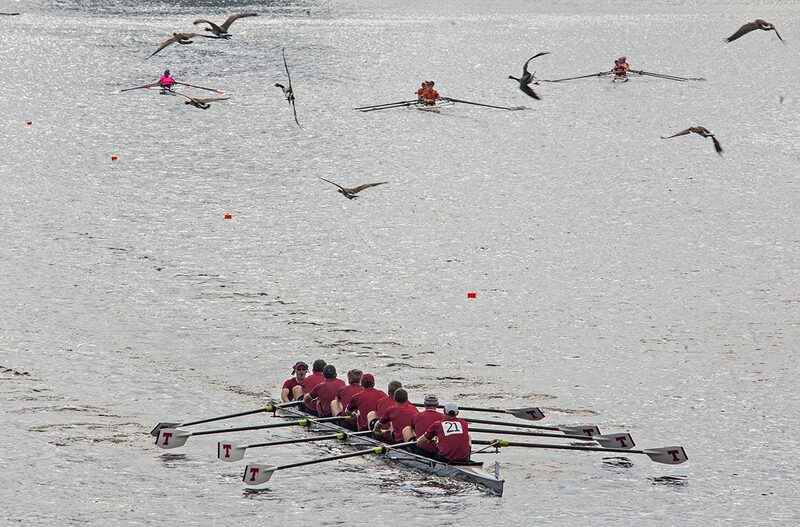 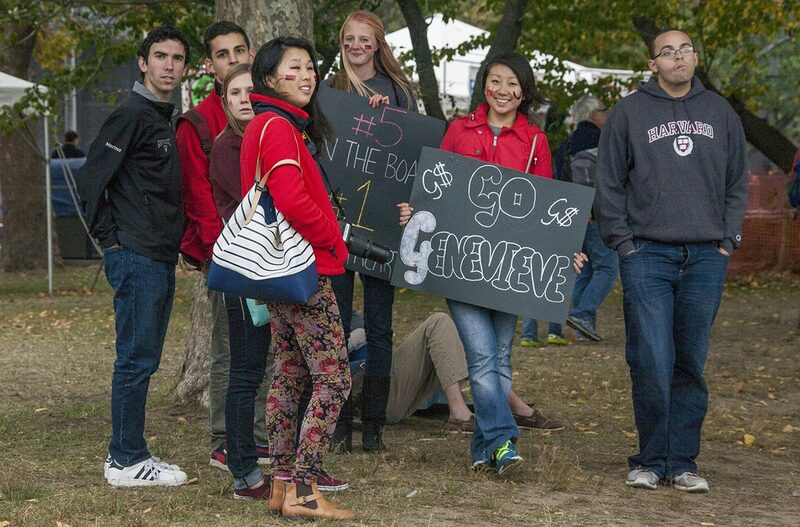 Check out scenes from the 2014 Head of the Charles Regatta below.